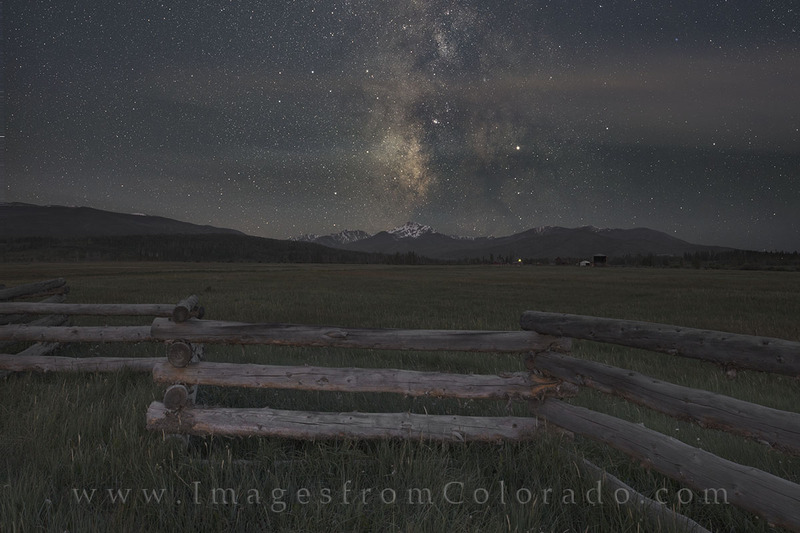 On a cold clear night in the Fraser Valley near Fraser and Winter Park, Colorado, the Milky Way rolls across the night sky. Facing southwest about 3:45am on a summer morning, the dark skies in this location allow for great viewing of this amazing night time sight. Photo © copyright by Rob Greebon.